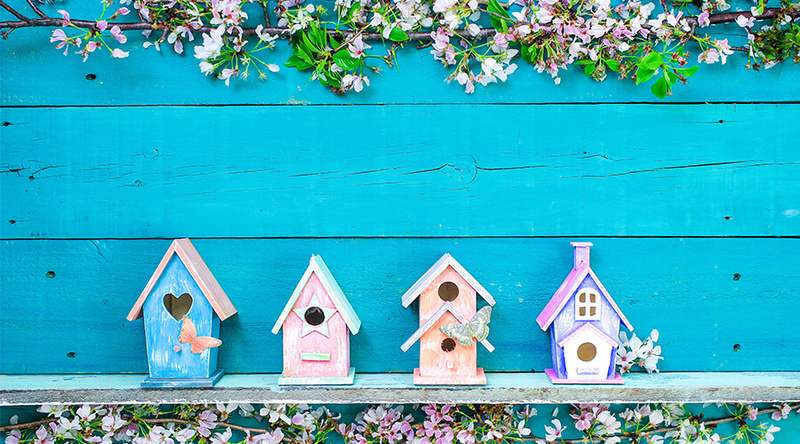 Now that the cold winter months are almost behind us, it is time for spring to come into motion, and of course, this means that you must get your home out of the winter spirit and into the spring. You may still be feeling cosy from winter, so make some decoration changes to make your home and conservatory ready for spring. Why Get Ready For Spring? Spring is a time of year that is often associated with freshness, spring cleaning and much more. Chicks, rabbits and tulips are very common associations with spring, as well as the famous and loved holiday Easter. Due to the connotations of freshness and new life that come alongside spring, you should get in the mood and aim to make an effort to meet your New Years resolution, redecorate your home, have a new home extension or even do a deep clean spring clean! All of these things can make you feel like you have done a lot this year despite it only being the beginning, it gives you a lot to feel proud about and make you feel productive. Preparing your conservatory for spring is fantastic, the sun makes its first appearance since before winter, and you can relax in the comfort of your conservatory with a good view of your tulips or relaxing watching TV with an Easter egg – whichever option sounds better to you! So if you’re wondering what you can do to get yourself int the spirit of spring, and how you can prepare your conservatory for spring, then keep reading! More often than not people accidentally misuse their conservatory as a part-time storage unit, although there is nothing wrong with this you are then not using your conservatory to its full potential. After the Christmas period, you are going to be left over with a lot of excess unopened Christmas food as well as presents that you aren’t a fan of or will most likely never use. It can be hard to shift these things or find a place for them to live, but you should get rid of them to allow your phone to live up to its full potential. If you have any unopened Christmas food, this could be an excellent opportunity for you to donate any unused supplies to your local food shelter, such as The Dacorum Foodbank where they can give your non-useful leftovers to those in need. And as for unwanted Christmas presents cluttering up your conservatory, there are charities who would be more than grateful for these, or if you don’t think a charity shop would find these helpful then why not sell it online? As for the deep clean, completely gut out your conservatory, just as you would your loft or garage. Be brutal and throw out or donate anything that you would not find remotely useful, include your furniture in this decision. If you’ve had that table for 3 years and the leg looks like it’s going to give way any day now – buy a new table! This helps the new fresh decor of your conservatory. After you have got rid of all of the rubbish collecting in your conservatory, it’s time to make everything look spick and span once again. Wipe all skirting boards down, hoover or steam the floor, have your windows professionally cleaned (to avoid streaks) and dust everything down. This is the deep spring clean that is needed to keep your conservatories Milton Keynes in good condition. When you think of Easter, you think of light pastel pinks, greens, houses of blue and shades of yellow. Get yourself not only spring ready, but into the Easter spirit and add a lick of spring-themed paint to your conservatory walls for the ultimate conservatory renovation. If you do not think of yourself as a DIY person or do not often take part in a hands-on task, not to worry!  Hire a professional decorator to help you; they might even give you some tips on what else you can do in regards to conservatory decor. This is a must-have when preparing your home for spring, unfortunately with the spring weather comes pollen – which is not good for the millions of people that suffer from mild to severe hayfever. Hayfever can cause multiple sneezing episodes, itchy eyes, coughing, and runny or blocked nose. Pollen is often in the air and can find it’s way into your home easily enough, through vents, open windows and doors and it can even be brought in on the fur of pets. Making it easy to affect your allergies, so to avoid this you should invest in an air purifier to prepare your conservatory for the pollen that will enter your home through regularly opened windows and doors Bedford. Unfortunately, although the sun is out in the spring months, there are still regular spring showers that come along with this. One problem that irritates a lot of homeowners with conservatories is the noise that is caused when heavy rainfall or wind. One way to eliminate this problem – as well as sun glare, would be a tiled roof conservatory, a tiled roof conservatory has plenty of benefits. Due to the insulation used when installing it, it dramatically decreases and noise from the weather and gives you a better chance of avoiding leaks or conservatory roof damage. As well as this, a tiled roof is more aesthetically pleasing than a standard conservatory roof as it makes it look more like part of your home instead of an extension. There are only a few more weeks of Winter left; it’s coming up to the beginning of spring so you should try and use a few of these tips when preparing your home for the spring months. We hope that this article was helpful, if it was then why not share with your friends and family that you know have a conservatory?